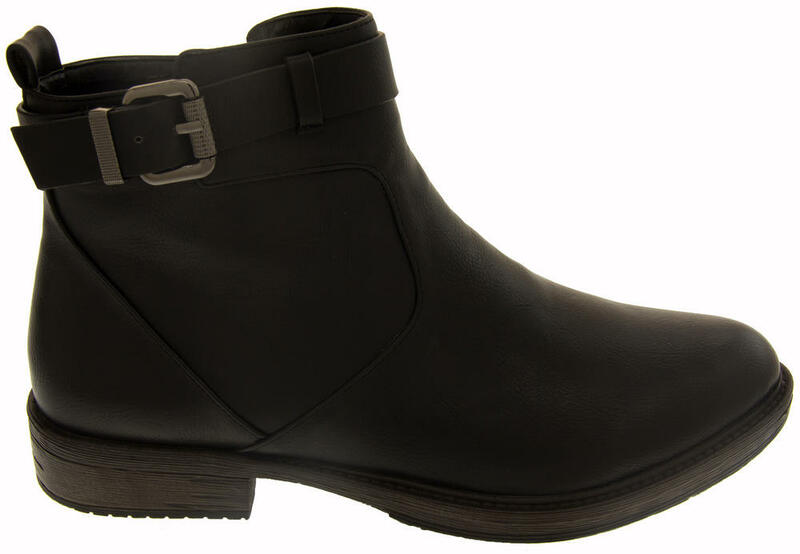 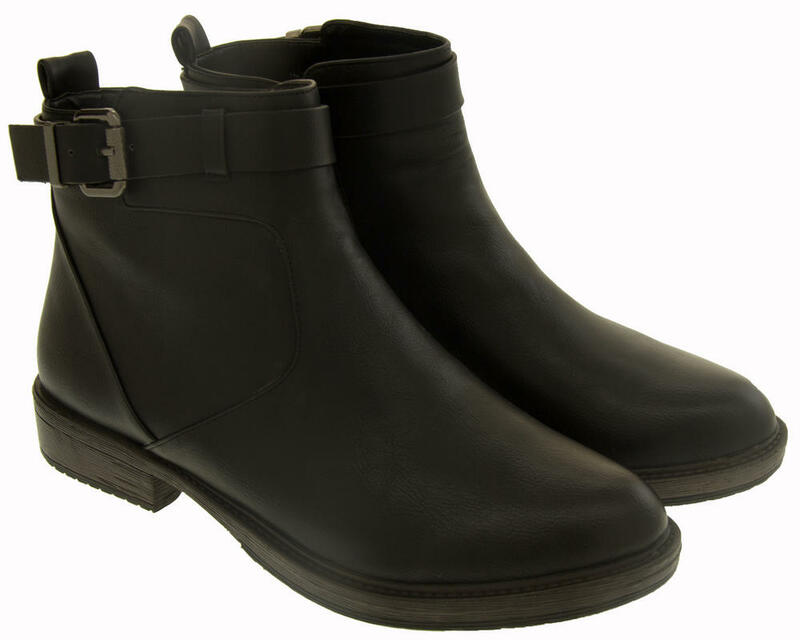 Gorgeous BETSY Faux Leather Ankle Boots for women. 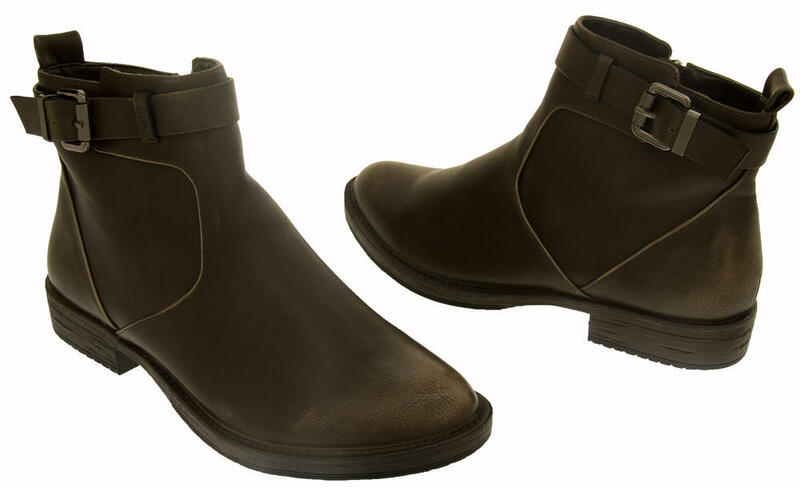 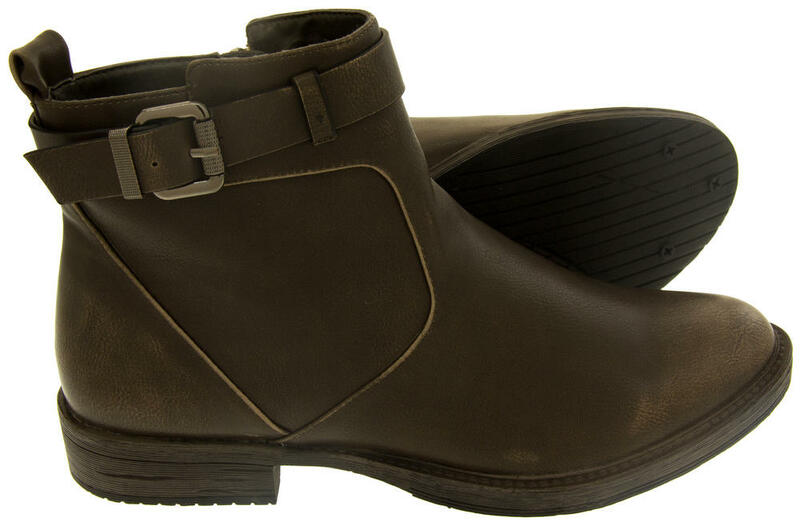 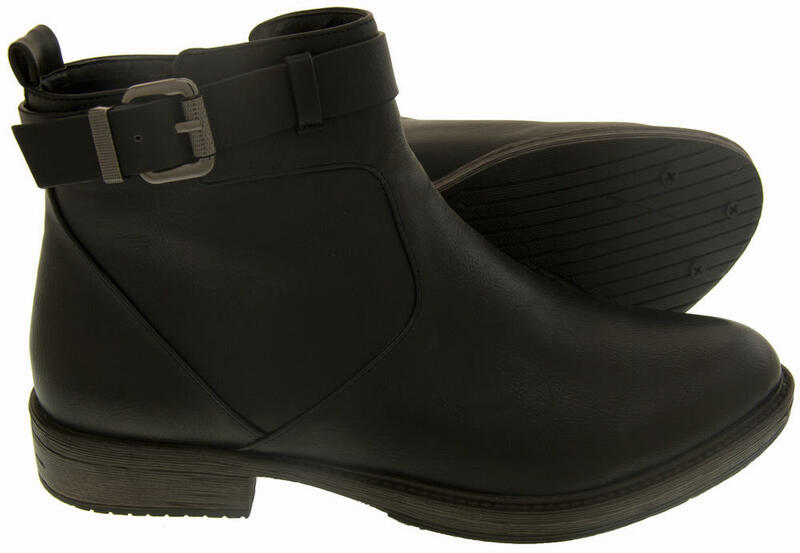 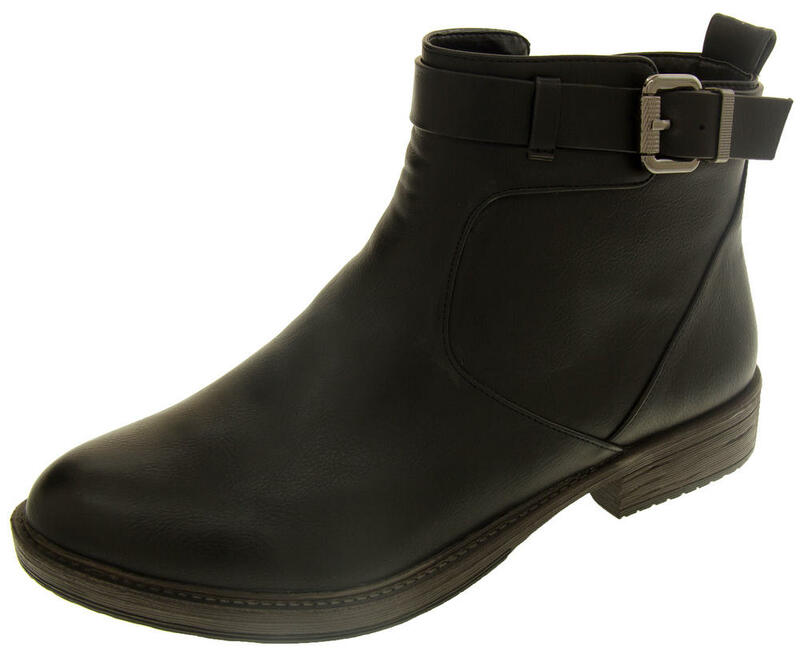 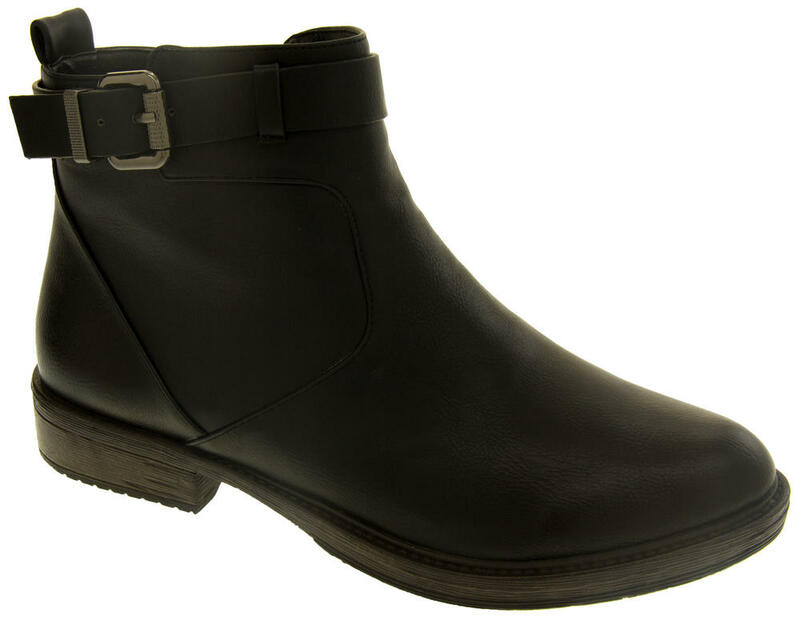 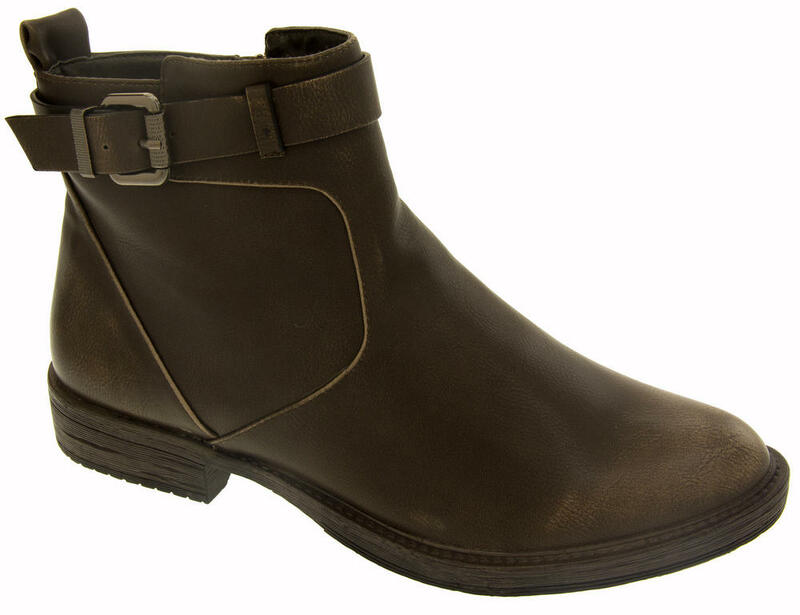 These stunning boots have a distressed look on the heel and toe, there is a buckle decorative strap. 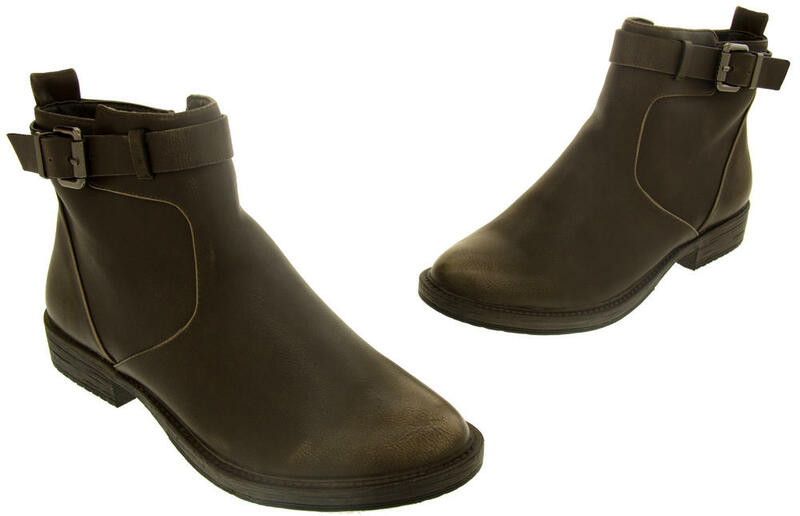 The wooden effect sole is going to be big this Autumn/Winter season so make sure you keep up with the fashion trends and get yourself a pair as these are bound to sell out quick.